Instructor Richard Smith does a great job, he has a great way of explaining things, I've taken three instructor certifications under him and will be using him again for future certifications. I can’t think of another Training Counselor that I could refer people to that would be a better TC than Richard Smith. Hand's down, the Best place for firearms and security training of all kinds. Rich and Ron's knowledge and expertise are bar none. 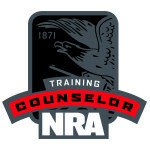 I highly recommend The Firearms Training Acadamy for anyone seeking to obtain related certifications. Best place to get your training done. The entire staff is very knowledgeable!!!! I will be coming back for more training!!!! The Firearms Training Academy is a great school! The instructors Richard Smith and Ron Anania are very good at what they do, they really go that extra mile to make everyone feel comfortable. They stay in touch with you even after you graduate to check on the progress you have made. I myself will be going back soon for more training. My experience there was great, I learned a lot, had quite a few laughs, ate my fair share of donuts and met some very interesting people. I hope to have the pleasure of working with them again when I go back. If you want to be trained right go to the Firearms Training Academy you will not regret it. Very professional, I was impressed with their attention to detail during the course and everyone was very friendly! Will be going back! Ready and Able Defense, LLC. Excellent training by knowledgeable and experience instructors. Thanks for the good job!! I took my my D and G security license here. 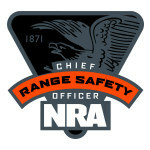 Also my my NRA instructor course. And literally two days later landed a job doing executive security. If you are looking for a place to learn and develop the skills necessary to move forward in a safe and constructive way, then there is no other place then The Firearms Training Academy. I will be going back for more training.